Off-grid Solar Batteries - Mobile Solar Power Made Easy! Keep this battery and all lithium batteries away from extreme heat/cold. Storing lithium batteries in a hot environment will decrease it's charge cycle life, and charging a freezing cold lithium battery will permanently damage it. But! The battle born has a low temperature cut-off (the renogy battery below does not have this safety feature). This is why I recommend the battle born over the renogy battery. These batteries are safe to store in your vehicles living area and do not require ventilation (but allow them to dissipate heat if possible for large discharge situations). These are safe to parallel connect in chains (to increase capacity of your system) with standard battery cables. 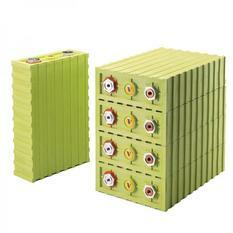 If you plan to power large loads, you will need multiple batteries (for each 1000 watts required, use 1 battery. Example: 4500 watt load will require 5 batteries wired in parallel). The ideal charge profile for the battle born is the same as a 12 volt "sealed lead acid". If you have this option on your solar charge controller, select it. You can build your own lithium battery, but you will spend nearly the same amount of money as buying the battery above. If you want to build an extremely cheap lithium battery, buy recycled lithium cells on ebay, and buy a cell checker to salvage the usable recycled cells and spot weld them together. Another option is to buy a salvaged lithium battery from a electric vehicle (not recommended for beginners). 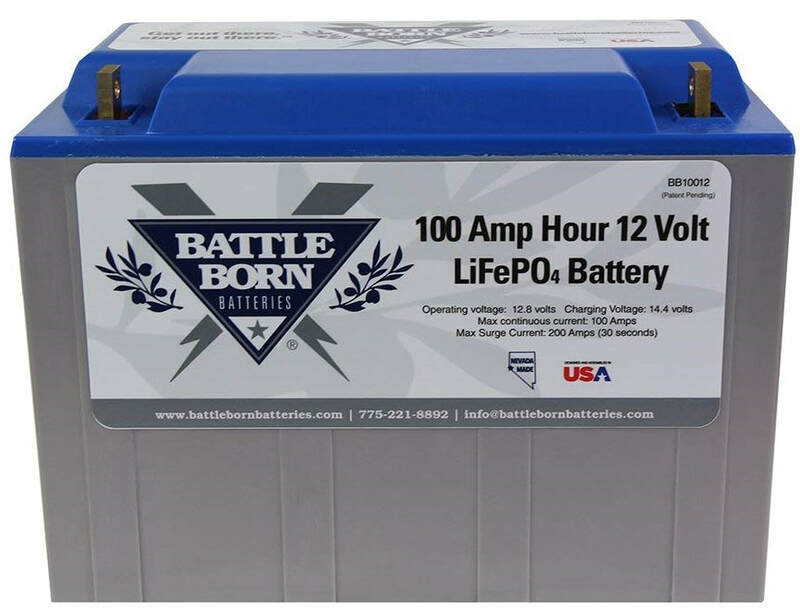 If you build a battery properly with new cells, and use a high quality BMS, the price is around $1200 for a 100 amp hour lithium iron phosphate (compared to $950 for the battle born). If you would like to ignore my advice and build a lithium battery, follow the steps below. ​1. The best lithium cells for vehicle solar systems are 100/200 amp hour lithium iron phosphate prismatic cells. They run at 3.2 volts, so you will need 4 of them in series to create a 12.8 volt battery. The cells attach to one another (pictured on the left). Use included steel connector bars to wire the cells in series (then check if the batteries new voltage is 12.8 volts). 2. Once your battery is assembled, you will need to add a BMS (not required, but a smart move). The BMS (battery management system) will ensure that you do not over discharge/charge the cells, and will periodically balance the cells. A BMS is easy to find and install. Follow the included directions. Note: If you know what you are doing, a lithium iron phosphate cell battery without a BMS that is charged at the right voltage, and never discharged on accident will work great. Most cells will stay relatively balanced. A good BMS can be a lot of money though, so be sure to take this into consideration when you are deciding on building a battery or buying a ready built battery (like the battle born battery above). 3. Now we need to charge the battery. We will need to program your solar charge controller to charge it safely. Some people will select the "sealed lead acid" or "lithium battery" setting on their charge controller, and usually be good to go. I think that this is wrong and you should check to see what your battery cells specifically prefer. Google search electric vehicle forums to see what charging voltages people recommend for your cell, or check the data sheet. Typically the sealed lead acid setting on a charge controller will work because it will disable boost/equalize modes that are dangerous for lithium batteries (but great for flooded lead acid batteries), but it will charge at a slightly higher voltage than necessary and that will decrease the battery life. It will also use a "float voltage" that is much higher than necessary, which will then lead to shorter battery life. How to Figure the Bulk Charging Rate Voltage for your Solar Charge Controller: If you are running the common 3.2 volt lithium iron phosphate prismatic cells, it will need a charge voltage of 3.6 volts (which can be found on the data sheet). Because we need to wire 4 of these cells in series to create 12.8 volts (3.2 volts x 4 cells in series = 12.8 volts battery bank), we will take the recommended charge voltage and multiply it by 4 to give us the "bulk charging voltage" which we can program into our solar charge controller (3.6 volt charging recommendation x 4 cells in series = 14.4 volts bulk charge voltage). But wait! Should you use this recommended metric? Actually not! What I have read online is that most people recommend charging at 14-14.1 volts instead. This will increase the life of your battery (because lithium batteries prefer to not be fully charged). Most people that select "sealed lead acid" setting on their charge controller will accidentally bulk charge at 14.5 volts, which could damage their cells. For me personally, I would keep it at 14 volts to be on the safe side. How to Figure the Float Charge Rate Voltage for your Solar Charge Controller: If you are running the cells mentioned in the example above, you should set the float to 13.2 volts. This is what I have found to be the best voltage after reading countless of forum posts on electric vehicle forums. This will practically disconnect all solar power to the battery when it is fully charged at this voltage (which will increase the life of the battery). Typically whatever the "full" voltage of your battery is should be used as a float voltage. Be sure to check the data sheet though or call your battery distributor to see what they recommend. 4. Now that you have the solar charge controller settings dialed in, you should be able to hook it up to the lithium battery directly. Once you can charge the lithium battery safely, you can add your appliances. If you plan to run a large inverter, make sure that the discharge rate of the battery can support the inverter. And that's it! Use it as any typical 12 volt battery.